This listing is for a composition notebook journal with a floral cover. 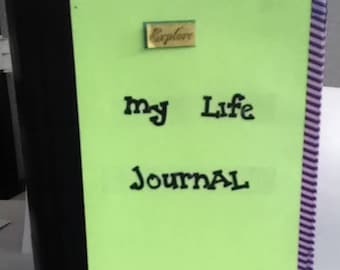 It is also called a junk journal. 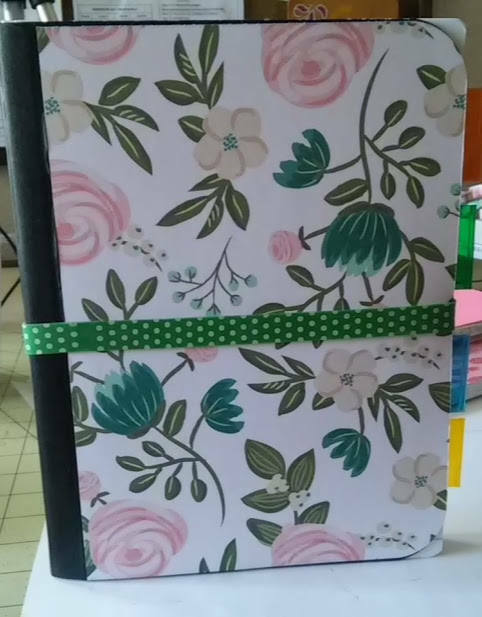 It is made from a composition notebook and it has index pages. It has 90 pages single or 180 double sided pages. Dimensions are 9 1/2 x 7 1/2. There are several photo spots, list papers, pockets, and several other things.